Not many beers have their own website. Firestone Walker’s 805 does, not because it’s a California icon of the American blonde style (though it is), but because it exists as something particularly unique from the rest of the Paso Robles brewery’s oeuvre. It’s an imprint of—and an ode to—the postcard-perfect Central Coast. The fruited plains laid across the land between Cambria and Oxnard and the rustling waves lacing its western edges are the manifestation of the sun-dazed dream of California. Its inhabitants, even the temporary ones, extol motifs of its character: saltwater-lapping summer sand, farmers market haggling, rodeo stadiums and tractor pulls, hills beckoning skateboard bombs, pizzicato guitar pluckings, rows of vineyards, cows browsing pastures, bass emanating from college parties (and subsequent noise tickets issued), and surf wetsuits on brisk mornings. 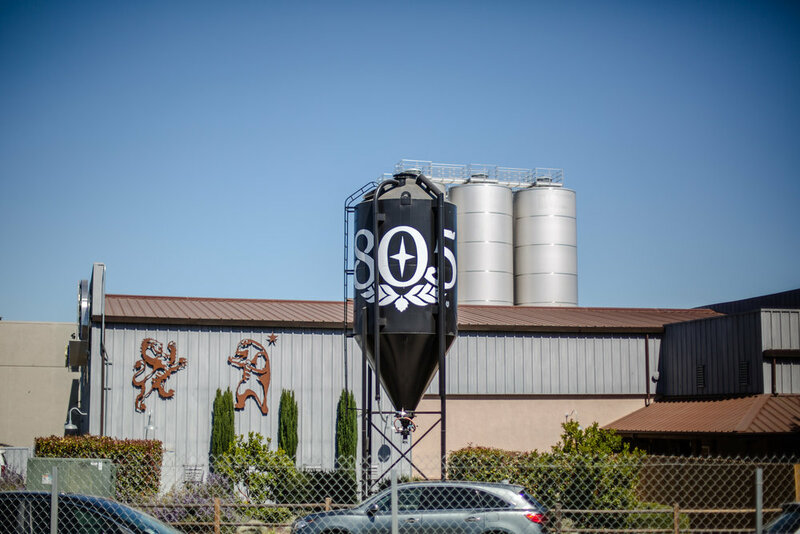 The 805—that is, the expanse that subscribes to the area code—is singular in its complexity. Anything representing it needs to be singular as well. In 2012, David Walker, co-owner of Firestone Walker Brewing Company, had observed that the patrons of local bars in Paso Robles took to their easy-drinking Blonde Ale, then officially called Honey Blonde. There’s another reason it’s called 805, though. Back in mid-2011, Anheuser-Busch InBev began trademarking area codes after buying Goose Island in Chicago. 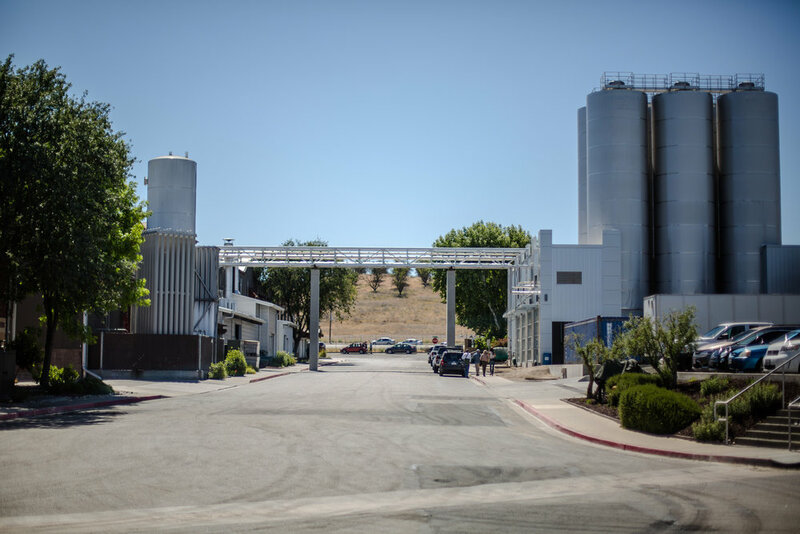 However, the massive brewing conglomerate didn’t set their sights on Central California and attempt to claim it, so David Walker and Adam Firestone did. But good things don’t remain obscure. The beer was never meant to be shipped out of the Central Coast, but demand spread to other parts of the state with homebrewers attempting to clone the recipe. Eventually, interest spread throughout the Western United States. Powell’s father restored vintage tractors and built violins for extra cash, and that was not unusual. Because Paso Robles and its surrounding areas were somewhat rural, people needed to make their own fortunes. The way of life there became a constant negotiation of labor and active leisure. Powell aims to epitomize that in the brand’s Authenticos campaign, which focuses on people—surfers, musicians, artists, craftsmen, athletes, and professional racers—who “are free spirited and rooted in rugged individualism,” and who, perhaps most of all, embody that Central Coast hustle. At the time, Walker said that the decision to move into those markets largely came as a result of finding out where people were taking it or trying to brew it themselves. In May, 805 hit its most recent and furthest market, Chicago. “We moved to Chicago because we were curious to see if 805 resonated outside the Western United States,” Walker says from Firestone’s barrel room in June. He cites similarities in the markets of the Midwest and Arizona, noting there’s a strong sports-watching contingency that like the beer, as well as a large Hispanic demographic that has historically favored the beer. To head into the new market, the company hired Sophie Helens-Hart as its midwest sales director. She had been with Firestone Walker for a couple years, based in Los Angeles, and because of her family’s Minnesota roots, she was “excited” to usher the brand into the midwest. But there are challenges to focusing on the idea of beer as a motif of a given lifestyle. Some people associate 805 with beers like Pabst or Modelo or Corona, “big beer or imports,” and it’s been tough to educate consumers on the reasons why this Blonde Ale is different. It’s working for Firestone Walker’s bottom line. The most recent data from IRI Worldwide, a Chicago-based market research firm, found that from January to May 2018, 805’s sales have grown by 20.8% over the previous year, and that over the last 52 weeks to date, the company has sold $48.5 million worth of that particular beer in stores. That makes sense, considering Walker’s claim that 805 constitutes around 60% of Firestone Walker’s total annual output. And if growth in new markets is successful, those numbers could become even bigger. Outside of the Central Coast, the beer appears as a love letter from its point of origin, waiting to be consumed. People identify with that, Powell believes, not just because it’s an inviting diorama depicting “where the mountain falls into the sea,” but because it’s easy to identify with the simple premise of drinking an easy brew at the end of a long day.